eCommerce websites are very subtle, and since any website that should handle lots of traffic comes under a lot more pressure, it’s prevailing that you have a robust website design for your eCommerce site. Moreover, if we talk about the trends, we have some stats reporting that 93% of the online customers decide to purchase based on the appearance of both, the online store as well as the products. Thus, we bring up the seven essential design components that you must always consider if you want your eCommerce site to be more successful. It is even better when you hire eCommerce website development in India or your preferred nations to get more help on your eCommerce success. People want to shop while they are bustling; it has been confirmed time and time again, if your website is not responsive enough for mobile, you will have a very tough time pleasing your consumers. This is an investment that you completely should make when starting an eCommerce website. Moreover, hiring the eCommerce website development company in the USA or near to your location will provide the best eCommerce site. Read more: What is the mantra of developing successful eCommerce website? As people shop online, they will want to assure that their personal information is safe. The data that collected through your website should indeed not be revealed to any illegal staffs, and you must take measures to assure the visitors that your online store is safe and legit. Hiring the eCommerce Development Company from the USA or your preferred nation is the right place where all the elements of your eCommerce site will thrive. No one wants to read a manual to be able to use your website. If the site is complicated, then you will have a problem getting people to come back to shop again. The design should be simple and very straightforward. The login and sign up options should be very evident, and when someone clicks on the buy button, he or she shouldn’t have to jump through hoops to get down the funnel. The design of your website should put up lots of product images and descriptive information. Typically the eight-image approach works great (front, back, top, bottom, left, right and some two perspective shots). No one wants to buy something that he or she cannot see or has no any information about it. The motive is to ensure the customers are well-informed when they are doing their shopping. This will enhance the opportunity for better assignment on the search engines. You should make sure that your eCommerce site has a convenient search tool. A first time visitor is expected to look for one specific thing. They do not want to spend the full day selecting through items that they do not need. Clean searches are the main product and should be present if at all you want to make sure that you get the perfect results from it. The colors that you opt for your website branding can make or spoil the experience. No one wants to have their minds attacked by a cocktail of strange colors. One pervasive mistake most of the people make with eCommerce websites is setting white text on a black background. Make it easy to see text and images, and find colors that match each other. It would help if you take the assistance of the one from the top eCommerce development companies, to make each color of the site combine nicely. When you offer your customers with links to recommended products they might like, then you are going to make the shopping experience more straightforward and comfortable on your store and promote extra sales. At least six links will provide for a more comfortable shopping experience that inspires further additions to their cart. Majority of people access the Internet through their smartphones and tablets. Thus, it makes perfect sense to ensure that your eCommerce business website by the Magento website development company is viewable on the several displays of these mobile devices. A website that can do this is known as a dynamic site. 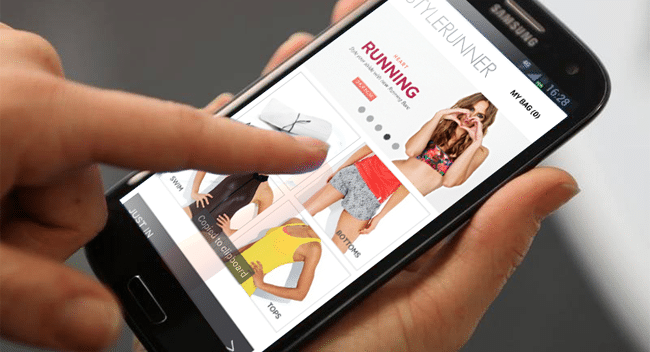 Make sure that your eCommerce business is active to capture mobile shoppers as well. Without any doubt when you hire Magento eCommerce development in India or any other country that offers the extensive WooCommerce development services, can help you to build the perfect eCommerce sites. If you want your website to be very successful, then there are some more strategies to apply. Make sure that you check your web design over and over again with the help of eCommerce website Development Company as if it is going out of panache. This way you will be able to observe problems and correct them in advance. There will still be issues, but less with the more you test. Are you going to offer free shipping information or will they have to pay? People do not like purchasing products if they don’t know how much shipping will cost. Make sure that you offer your visitors with clear information about the delivery cost. With the help of online website development company, it will be much better to get the best assistance usually. A product suppressed under a whole lot of clicks is just as similar as non-existent. Try as much as possible to make sure that all the products can be accessed with a complete of four clicks. No one wants to waste time on being sent to page after page. As stated already, the design of your eCommerce site should put up pictures of the products. These images must be of high quality and exceptional. Invest in good quality images, and your product listing ads on Google will pop from the rest of the more traditional pictures. Consider to hiring a WooCommerce developer that can offer multiple eCommerce website development services, and provide the right choice of eCommerce website always. Nowadays, the world comes across on social media. Platforms such as Facebook, Twitter, Instagram, and LinkedIn are the meeting places where more than a billion people draw near to exchange messages, pictures, and videos. Social media platforms are the best place to promote your eCommerce business. You can also create a page for it and request your present and future social media friends to always would like it and shop there as well. Social media is also an ideal platform to achieve the opinions from your target market. You can learn what they like or don’t like about your business on these platforms. Along these lines, you can incorporate social media activation keys in your eCommerce business website. Some examples of these are the follow-buttons, such as buttons and even the option for your visitors to log into your eCommerce store making use of their social media credentials. Social media promotion and activation is an approach to Search Engine Optimization (SEO). The more people will know about your eCommerce business, the more profits you are likely to make and the improved your profit edge will be. Go with the top Magento web development companies and best WooCommerce development company in the USA or your preferred nations, to find the right way to build eCommerce site healthier. These are the seven vital things that are most vital when you are building a website, along with the bonus points on how to make sure that your online store performs at its best. That is why it is also recommended to hire reliable and well-known WooCommerce experts that offer the excellent eCommerce website development services.